New Mitrapap Hotel ... The hotel was in a good location, it was rather a hostel, but very clean and big. And, it was the cheapest place we stayed at! 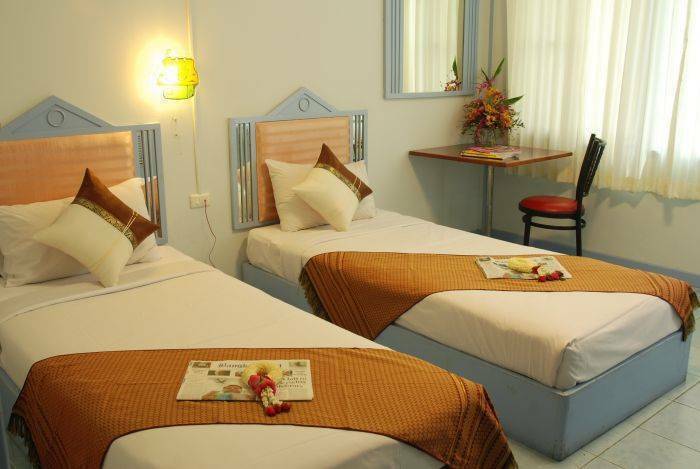 New Mitrapap Hotel is the colorful hotel with clean and comfort room. Our hotel just renovated in 2006. We offer with reasonable prices. New Mitrapap Hotel is near Wororot Market, Thapae road and Night bazaar. near Wororot Market, Thapae road and Night bazaar.